Brittany Place Glen Eagle Condos: This south facing villa is situated at the end of a Cul de Sac in the popular Brittany Place section of Glen Eagle. The oversized lanai features date palms and perennials plus a large pool with a deep end for those who like to "dive in." This villa has one of the largest floor plans with three bedrooms and a formal dining room - plenty of room for guests and entertaining. The Social Membership includes use of the Clubhouse for dining and all the many social activities, the Fitness Center, Tennis and Golf from May to November. Glen Eagle is a gated community with a 24 hour attendant. Make an appointment today to see this unique property. Sterling Lakes Ii Glen Eagle Condos: Lakefront condo in wonderful Naples' golf community - Glen Eagle! Offering over 1,700sf of living space, this second floor unit has a relaxing view of the lake and has been tastefully updated (2018) including a stunning kitchen design, gorgeous tile flooring, upscale light fixtures & fans, stainless steel appliances, high-end carpet flooring on staircase, den & guest room, and contemporary cabinets & tile in bathrooms with spacious tile shower encased with frameless glass in the master bath. NEW ROOF AND AC! This home has a wonderful open feel with plank tile flooring, vaulted ceilings, large panel sliders to lanai, tall base, white cabinets in the kitchen, plant shelving, recessed lighting. Located in Sterling Lakes II @ Glen Eagle, a fantastic community to be either a seasonal or annual resident. Enjoy all that SWFL living has to offer in this gated country club community with a Gordon Lewis designed par 70 golf course, four Har-Tru tennis courts with lights, fitness center with group classes, bocce ball courts, swimming pool, and a clubhouse with library, billiards, card room, lounge/bar & restaurant. Social membership only deeded with this unit. Montclair Park Villas Glen Eagle Condos: This perfectly appointed, bright, fully furnished 3 bedroom plus den is located in one of the most desirable golf communities in Naples! Bring your golf clubs and move right in! Full golf membership included! Just a short drive to beautiful white sand beaches, downtown Naples, and plenty of shopping and dining options! Clubhouse features a state of the art fitness center, tennis courts, bocce ball courts, swimming pool, dining options, and much more. Do not miss this opportunity. Schedule your showing today before its too late! Brittany Place Glen Eagle Condos: Fantastic Brittany Place attached villa in Glen Eagle. This 2 BR+ den, 2 BA home includes a SOCIAL MEMBERSHIP & is a wonderful starter home or retirement getaway. New roof just completed in 2018. Relax on the long lanai & enjoy a serene preserve view. Just a few miles from the restaurants & shopping of 5th Avenue as well as 3rd Street. A short car ride to the historic Naples Pier & beautiful Gulf beaches. Sterling Lakes Ii Glen Eagle Condos: PRICE ADJUSTMENT, MOTIVATED SELLERS, OFFERS WANTED!!!! Enjoy a beautiful view of a peaceful preserve and 17th fairway from this exceptionally maintained Full Golf Membership, first floor Coach Home. Many upgrades to this fine home which include stainless steel appliances that are less than one year old, granite kitchen counter tops and 20" tile on a diagonal pattern. This home is equipped with a brand new air conditioner with a transferable warranty to the new owners and has a new water heater that is less than one year old and a brand new roof. Located directly across from a beautifully appointed neighborhood pool that is a short walk to a state of the art fitness center, Divot club and bocce courts. This lightly used original family home is waiting for your arrival so don't miss out, it won't last long. Glen Eagle has just completed a golf course renovation with all golf assessment fees paid in full and has also recently completed the renovation to their clubhouse which hosts may social activities including Bingo, Trivia, DJ and Karaoke nights. Less than 5 miles from well known Downtown Naples Fifth Avenue Shops, restaurants, art galleries and pristine Gulf Beaches. Sterling Greens Glen Eagle Condos: Absolutely fabulous 1500 sq ft ground floor end unit condo has been meticulously renovated with Brazilian Bamboo floors, beautiful Plantation shutters, crown molding throughout and tiled lanai backing to the 18th hole. The kitchen has been beautifully remodeled to include top of the line appliances, cabinetry and stunning granite countertops with plenty of counter space and breakfast bar. This condo offers an open concept floor plan with spacious bedrooms and an abundance of natural light throughout. FULL GOLF MEMBERSHIP IS INCLUDED, along with many social activities including tennis, exercise facility and bocce. 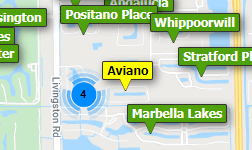 Naples Fifth Ave shops and restaurants, beautiful gulf coast beaches are only 5 miles away! Sterling Lakes Ii Glen Eagle Condos: Private and serene cul-de-sac location in Glen Eagle Golf & Country Club with golf course and lake views. Turnkey furnished, this 2 bedroom, 2 bath plus den boasts a new AC and tile roof as of January 2019. Enjoy the good life at Glen Eagle - newly renovated golf course and club house, tennis, bocce, fitness center and plenty of social activities in a gated community. Just minutes from 5th Avenue South, Olde Naples and the beautiful Gulf beaches. Social membership allows for golf from April to October. Sterling Lakes Glen Eagle Condos: First Floor End-Unit with sought after Southern Rear Exposure and beautiful Lake View. This condo has an open floor plan with 3 bedrooms, 2 full bathrooms and1 attached car garage for your convenience. You will appreciate living in a home with lots of natural light coming from numerous windows. The kitchen has tall wood cabinetry, corian counter top with integrated sink. The owner's quarter boasts a spacious bedroom with large window and a spacious bathroom with wood cabinetry, dual sinks, tub and shower, linen closet and an enclosed commode. Enjoy a serene and private view while relaxing on your spacious Lanai overlooking the lake and you are just a short walk to the community pool. Social membership Included (Non-Golf). New roof in 2019. Glen Eagle amenities include Bocce Ball Courts, Club House with large pool, billiards, library, activity rooms, Pro Shop, tennis & dining. Walking trails and sidewalks wind through this beautiful and serene community. The community of Glen Eagle is located about 15 minutes from Olde Naples where you can enjoy numerous activities, superb dining, shopping, the Naples fishing Pier and white sandy beaches! Is this the lifestyle you are looking for? Chatham Square Glen Eagle Condos: This beautiful 2nd floor 2 bedroom/2 bath Condo located right off the elevator in a Bundled Golf Home in highly sought after Glen Eagle . The home offers an open floor plan with a new A/C, high ceilings is perfect for entertaining with breathtaking views overlooking the 7th hole. With a screened in lanai over looking water and golfers. The lanai has electric hurricane shutters that make this unit secure . There is a newly renovated 18 -hole Golf Course , the community also offers tennis courts ,swimming pool , full service bar & restaurant. Calling all investors or second homeowners. Located 5 miles from Naples finest Beaches, Art, Shopping. Vacant & easy to show. Turn out lights, lock door, leave a card. Thank-you for showing our listing ! See confidential Remarks-Thank-you for showing our listing. Montclair Park Villas Glen Eagle Condos: This beautifully maintained Montclair Park Villa has a spacious long view of the lawn behind the unit that extends along the side of the community pool and can be enjoyed from a meticulously clean extended lanai. The front of the unit faces a lake with views of the 10th tee and fairway. This Villa has a spacious 2 car garage and is within a short walking distance of a newly constructed and well maintained, state of the art Fitness Center and Bocce Courts. Unit has two bedrooms, 2 bathrooms and a breakfast nook and an outside sitting area off the kitchen and outside the entrance door. Plenty of storage space in and above the garage area. Updated hot water heater and new air conditioner and appliances. Glen Eagle is a family friendly, professionally managed Golf and Country Club, located less than 5 miles from Naples Fifth Avenue restaurants, shopping, art galleries and pristine Gulf Shore Beaches. Please view and enjoy this very clean Villa Home! Sterling Lakes Glen Eagle Condos: Sellers want this unit SOLD...Bring your best offer...FULL GOLF MEMBERSHIP... Large master suite, ample guest bedroom, plus a den/third bedroom, and attached garage. This home is equipped with a March 2017 air conditioner with a transferable 10 Year Warranty to the new owners and Appliances that are less than 4 years old, 2014 water heater and a brand new 2019 tile roof. Enjoy coffee in the morning on your lanai overlooking the 17th fairway. Located directly across from a beautifully appointed neighborhood pool and a short walk to a state of the art fitness center, Divot club and bocce courts. Located in Sterling Lakes II @ Glen Eagle, a fantastic community to be either a seasonal or annual resident. Enjoy this gated country club community with a Gordon Lewis designed par 70 golf course, four Har-Tru tennis courts with lights, fitness center with group classes, bocce ball courts, swimming pool, and a clubhouse with library, billiards, card room, lounge/bar & restaurant.Looking for the perfect NAPLES location to play golf, enjoy an active community lifestyle, state of the art fitness center, tennis, restaurant all just minutes to Fifth Avenue and the beach. Welcome, Home! Sterling Greens Glen Eagle Condos: Beautiful! Spacious 1506sqft 3 Bedroom End unit with 1st floor ease. Gorgeous panoramic fairway views from Lanai, bedroom, and big side windows. Preserve across versus buildings for privacy. May be furnished if desired so you can just move right in with a toothbrush and clothes. And this one save money as it has No golf fees required. Low fee includes Social Membership and Club amenities. Rare private Storage unit is ample to keep Storm shutters, golf clubs, bikes, beach chairs, tennis rackets and more! Deeded Covered parking. Take a dip at Community pool. Short stroll to The Divot for Full gym, fitness classes all included, art, bocci, breakfast, lunch. Head to Clubhouse for Dining, Bar, ping pong, Billiards, library, Card rooms, fire pit, events. Lit Har-tru Tennis. Rights to Play golf if you want from May to Oct. And use long list of Reciprocal Clubs. All conveniences out front & back gates. Only 5 miles to Olde Naples, beaches, dining, shops, art, theatre, more! Buy Now for Investment for Seasonal repeat tenant. Rentals are in high demand! Sterling Greens Glen Eagle Condos: C.15173 - Enjoy magnificent views of the 18th hole and fairway from this fourth-floor furnished unit. As you enter the front door you are welcomed with a gorgeous golf course view and can enjoy this view from the spacious living room, formal dining room, kitchen and lanai. You will love how light, bright and tastefully furnished this unit is along with the open floor plan which features volume ceilings and tile on the diagonal in the main living area. Sterling Greens has its own community pool as well as extra storage space for each home. Golf membership allows for golf privileges, access to dining, fitness, over-sized club pool, tennis and newly renovated club house and restaurant. Glen Eagle is a gated, golf course community in an ideal location, centrally located near downtown Naples, shopping, dining and white sandy beaches. Sterling Greens Glen Eagle Condos: This is a great unit! BANK OWNED FORECLOSURE Top floor unit with vaulted ceilings, beautiful -open floor plan, elevator to unit! Upgrades include diagonal tile, and this condo boasts a beautiful lanai with views of both the golf course and lake! Sterling Greens Glen Eagle Condos: Introducing this incredible first-floor condo with two bedrooms, two baths, and sweeping golf course vistas seen from the spacious lanai and living room and kitchen area. Located in the established golf community of Glen Eagle, this wonderful home offers covered parking, a golf membership, and a recently renovated golf course, tennis courts, a fitness center, and dining. You will love relaxing out on the spacious lanai with gorgeous expansive southern golf course views! The open floor plan features a spacious living room and dining area, and the light and bright interior is decorated with volume ceilings, tile flooring, and carpeting. The kitchen is appointed with white cabinetry, neutral colored counters, and a breakfast bar. The master bedroom offers neutral carpeting, crisp white walls, and an en suite with white cabinetry and a walk-in shower. Furnishings are negotiable. This residence is the perfect place for year-round living or for a fun-filled golf getaway! Glen Eagle is centrally located in Naples near downtown Old Naples and the white sandy beaches of Naples. Come enjoy golf community living at its best! Sterling Greens Glen Eagle Condos: JUST REDUCED * SNOWBIRD or FULL-TIMER * Sweeping Golf Course Vistas from your Private Lanai onto the 17th Fairway & Preserve makes this TURNKEY UNIT a MUST SEE. Mint Condition, Light & Bright Furnished Condo Unit For Sale has eat in kitchen & great room floor plan. Electric & manual Storm Shutters. Glen Eagle Golf & Country Club is an active, private gated community with 1,234 units comprised of golf memberships & social memberships. Clubhouse complex includes 4 Har-Tru illuminated tennis courts, 2 Bocci Courts, meeting rooms, card rooms, & billiard room. Fitness Center has weight machines, stationary bikes & treadmills to include aerobics, muscle conditioning, yoga & water aerobics. Restaurant has a large dining room; a smaller private dining room; a full service bar & lounge area (19th Hole); & the covered lanai is fully furnished with outside seating. SOCIAL MEMBERSHIP is attached to this property and entitles the owner to the FULL USE of ALL FACILITIES year round & the golf course from May through October. Centurylink Prism TV & internet is included in condo fees. Sterling Greens has a community swimming pool & a storage unit for each unit. Common Elevator. Ask for Info. Glenmoor Greens Glen Eagle Condos: PRICE IMPROVED TO $171,000. Looking for a Seasonal getaway, to enjoy the NAPLES lifestyle? Here it is, GLEN EAGLE Country Club. Rarely used & never rented, this charming 2nd floor Home. This 2/2 sparkles, offered TURNKEY, this home has all the necessary items to be able to buy it & move right in. The home features Tile floors on the diagonal, like new appliances, your gourmet kitchen that's fully equipped. With eat-in area perfect for morning coffee, + a breakfast bar. Your Living Rm/Dining Rm. Combo is LG. & inviting. Your master suite is elegant & offers endless views of the Golf Course. The master bath is steps away and offers you a large walk-in closet. Your second bedroom is perfect for guests & grandchildren, with the 2nd bath just off the main living area. Plus A 3 YR YOUNG A/C, newer W/D & 3 yr. old H/W heater. Your lanai, overlooks this Gordon Lewis designed par 70 course, which will challenge golfers of all skill levels. Measuring from 4300 up to 5600 yards. Magnificent clubhouse, Bar/Grill, Meeting facilities, Exercise facilities, Pool, tennis courts + Active social schedule. Minutes from shopping, dining, &The Sparkling Gulf Waters. COMES W/FULL GOLF MEMBERSHIP. Enjoy. Glenmoor Greens Glen Eagle Condos: C.14147 FULL GOLF MEMBERSHIP. One of the lowest priced properties in Glen Eagle. This nicely cared for two-bedroom, two-bathroom condo overlooks Glen Eagle’s newly renovated golf course. Along with great views, this unit is being offered turnkey furnished. Glen Eagle has numerous amenities including a club house with pub-style social setting, newer fitness center, an exercise room with classes, bocce ball and har-tru tennis courts. Glenmoor Greens also offers its own pool and tennis/pickleball courts. Dual entrance gates for owners provides easy access to Old Naples beaches, shopping and dining. Glenmoor Greens Glen Eagle Condos: C.15354 - Seller WILL PAY the 2019 Master Association Golf fee for the Buyer!!!!! More than just a home, this 2 bedroom, 2 bath golf condo is a way of life. A relaxing, easy lifestyle that will suit you to a tee. Golf, tennis, swimming – all just outside your door. Cozy breakfast nook in the kitchen, tankless hot water, air conditioner new in 2013, newer washer and dryer, crown molding, whole house surge protector and gorgeous views of the course and two lakes from your newly screened lanai! Full golf membership is included. Glen Eagle Golf and Country Club is an active, gated community where new friends are waiting for you! Chatham Square Glen Eagle Condos: Well maintained furnished, first floor, two bedroom, two bath condo with Full Golf Membership. New AC just three years old. Enjoy the view of the golf course and the constant ebb and flow of happy Glen Eagle golfers. Chatham neighborhood provides its members with a beautiful pool, spa and tennis courts. Master Association fee of $4,533 includes access to the recently redecorated restaurant along with the bar and grill, har tru tennis courts and full workout facilities PLUS High Speed Internet and TV service. The golf course was completely redone last year and the $3,000 assessment has been paid in full by the sellers. Parking space for this condo is just a few steps from your front door. Enjoy all that Naples has to offer including restaurants, shops, galleries and the Gulf of Mexico just five miles away. Need professional assistance selling your property at Glen Eagle Naples? Find out how an Area Specialist can help to generate more property exposure in order to get the most money for your investment in the least amount of time.